This is the first of a series of stippling portraits I'm beginning to work on. I don't know who my next subject will be-probably a family member or a friend-someone I can give it to. It's a slow process and I think my results will get better over time. 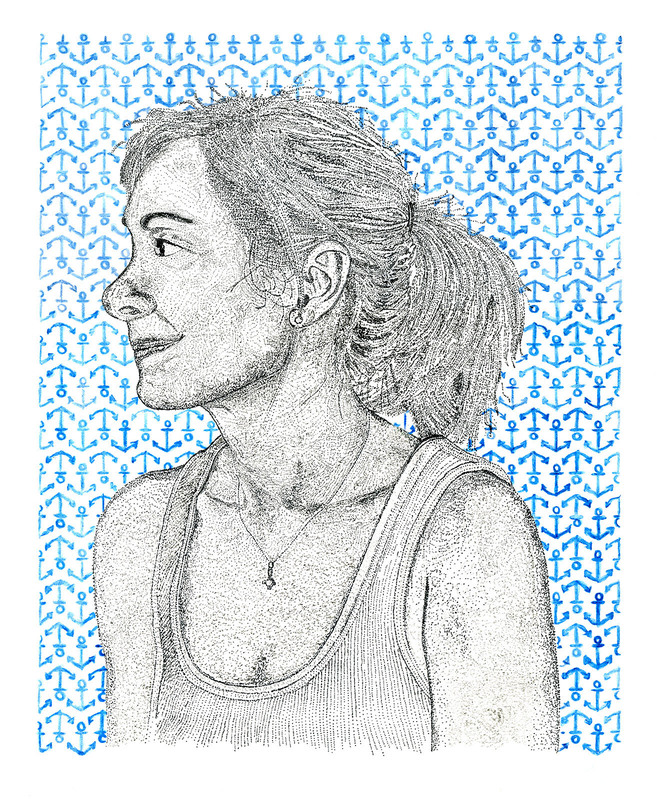 I'm beginning to experiment with stippling illustrations of people. This is my first one with more to follow. I wanted to post more but they just take so long to do so I wanted to get this up now. My wife was the first unsuspecting subject.